Free Dispenser with the purchase of a case. Outstanding cleaner that does not dry the skin. Awesome for the winter months. Will order again. Awesome product!!! 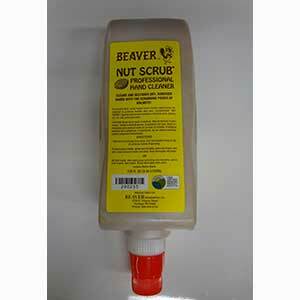 The nut scub hand cleaner works fantastic keeps hands clean ! Excellent product. Fast shipping. Great experience. Awesome product ! 100 percent satisfied !